I t is true that what we consume reflects on our outward appearance resulting in being overweight or underweight, maybe even exacerbating skin conditions such as eczema or acne and can even begin to age skin sooner rather than later. 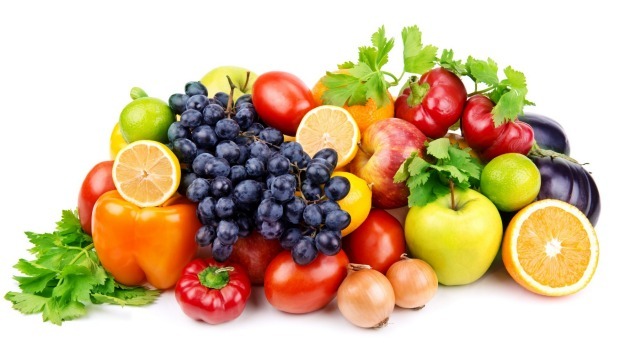 So what foods should we be eating to promote healthy skin in particular? 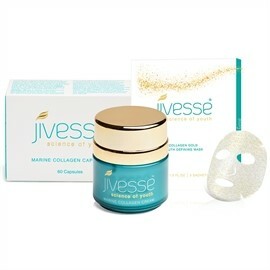 Jivesse can only do so much and we must help encourage skin health from within through nutrients we consume. Diet plus Jivesse equals a winning combination. Foods rich in vitamin C are ideal for healthy skin, such as citrus fruits, broccoli, blueberries, tomatoes, red peppers and kiwis. Vitamin C boosts collagen production in the skin helping maintain skin’s integrity, helping to minimise wrinkles. Tomatoes are also high in vitamin C as well as Lycopene – a powerful antioxidant that helps fight against free radical cell damage. Free radicals break down elastin and collagen in the skin resulting in wrinkles. Leafy vegetables such as spinach or kale contain vitamin E, A or retinol which are important for normal skin cell turnover. Clogged pores can lead to breakouts. Normal skin cell turnover should help ensure pores do not become clogged by an accumulation of skin cells. Oily fish is abundant in omega 3 fatty acids which helps keep skin supple and moisturised. This also helps if you suffer from dry skin or dry skin conditions such as eczema as it’s also an anti-inflammatory. Oily fish such as sardines, mackerel and trout also contain vitamin E, Zinc and protein all of which are essential for skin health too. A fan of soy? Great! Soy actually contains antioxidants which have been found to reduce wrinkles, improve collagen production in skin and protect skin from sun damage (although it’s also recommended to use sun protection on skin and not rely solely on soy for your sun protection). Dark chocolate – how wonderful! Full of antioxidants that increase blood flow to the skin, improves skin hydration and somehow protects against sunburn! Amazing. And it tastes great too. Fibre is extremely important to the diet. To help keep you feeling full and satisfied throughout the day so that you aren’t snacking on sweets, milk chocolate or crisps. Sugary snacks can break down collagen and elastin in skin, so it’s best to avoid such things to help maintain healthy skin. Incorporate probiotics and prebiotics into your diet. Poor digestion reflects badly on the skin. This is because good microbes in the gut help strengthen skin barriers so more bad microbes in the gut compared to good can lead to skin dryness and irritation. Prebiotics encourage the growth of good bacteria in your gut and can be found in foods high in fibre. Probiotics contain live active cultures of good bacteria that benefit the skin. Keep all these things in mind over this festive season when making food choices and remember that overindulgence will not only wreak havoc on your digestive system as well as pile on a few extra holiday pounds, but can adversely affect skin too.